Joshua and Jonathan’s wedding took place on September 1, 2015. Now look at a calendar. Yes, that is indeed a Tuesday. I’m pretty sure that this is the first time in my DJ career I’ve worked a Tuesday wedding. And no, it had nothing to do with a midweek discount, it was just a special date to Joshua. His grandparents, who he was close to, were married on that same date many years ago and he wanted something to have something to share with them. Pretty special. Their wedding ceremony and reception took place at the Bayview Restaurant on the Marine Corps Recruit Depot. 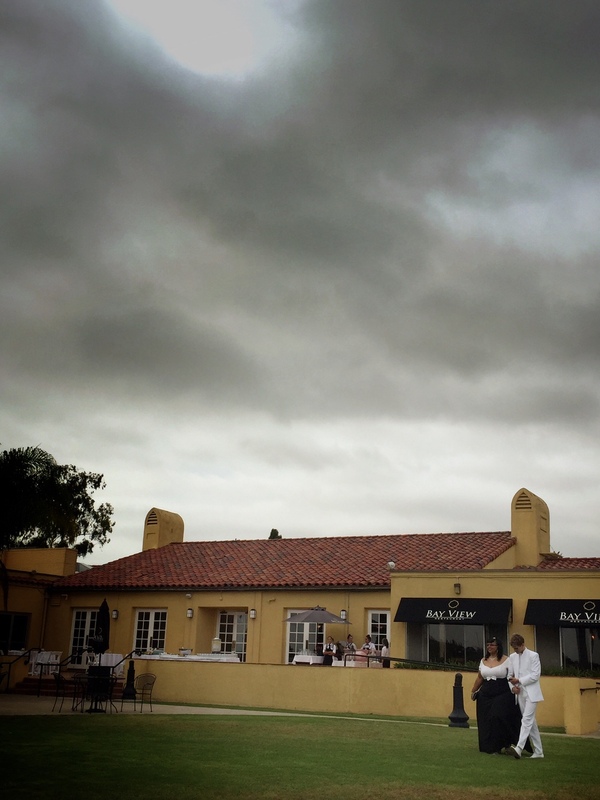 A great venue that is right on the shore of San Diego Bay and adjacent to Liberty Station. They also had a unique idea, each escorting their mother-in-laws through their circular shaped aisle. Successful end to a Tuesday night wedding at MCRD in San Diego with these two grooms. Congratulations Joshua and Jonathan. Joshua is also a friend of mine, a guy who I share weekly workouts and sweaty hugs with at November Project, a free fitness group that is in more than 20 cities across the United States and Canada. This is the best I could do in finding a picture of Joshua and I. Not only are there no pictures of just the two of us, they are no normal pictures of us. J & J’s wedding party was great fun, especially since I had many other friends on the dance floor.